Humans love pumpkin in a variety of ways, and we often can’t get enough of it when autumn rolls around each year. But what about pumpkin for dogs? The fact is, pumpkin can be a great option for dogs that can help with some health issues – plus, most dogs love the taste, and it’s easy to eat. When giving your dog pumpkin, make sure you’re only offering them the flesh or seeds, instead of the skin, etc. While we’re at it, pumpkin pie, soup, isn’t the best option, either. It’s not harmful, and your dog likely won’t have any adverse effects from these Thanksgiving classics, but the sugar, fat, or extra ingredients, etc., can take away from the health benefits of the pumpkin itself. Let’s take a closer look at the pumpkin, and what it can do for your dog. Simply put, yes! Pumpkin offers a wonderful source of fiber, which can help with digestive issues, or simply aid in everyday digestive health. Fresh cooked pumpkin that’s been cut into pieces or pureed is a great treat that your dog will love, and they’ll love the benefits they get from it, too. 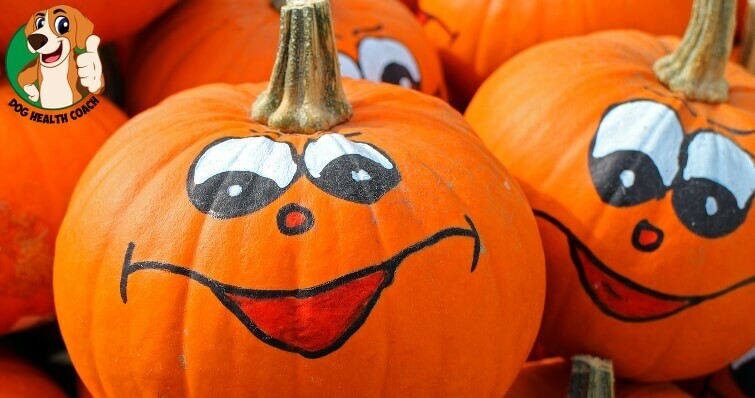 Aside from digestion, pumpkin also offers a strong source of Vitamin A, potassium, iron, and beta-carotene. 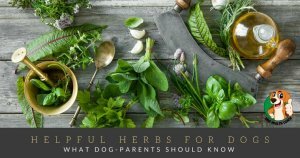 It’s also filled with antioxidants and has been known to help dogs who struggle with urinary issues, as well. One of the most popular ways to serve pumpkin to dogs is by pureeing it. Organic pumpkin for dogs will always be the best way to go when it comes to pureeing it yourself or buying the canned variety. But a few spoonfuls of pumpkin puree can really help your dog if they are struggling with constipation, and it can also work as a weight loss aid if you replace a bit of your dog’s regular food with a scoop of pumpkin. It will help them to feel full and give them the nutrients they need, without extra calories. Is Canned Pumpkin Good For Dogs? Absolutely! Canned pumpkin is one of the healthiest canned foods available for people, too! As long as you buy an organic variety, and make sure you’re purchasing 100% pumpkin puree, instead of pumpkin pie mix, canned pumpkin is as good as pureeing it yourself, and a lot more convenient. Where to buy canned pumpkin for dogs? Puppies can enjoy pumpkin just as much as full-grown dogs, and they’ll benefit from all of the wonderful nutrients. Canned pumpkin for puppies is a great option, too, and can be a convenient way to get fiber, Vitamin A, etc., into your puppy’s diet. Pumpkin can even help with puppy diarrhea with its benefits to the digestive system. Just a couple tablespoons for adult dogs or a couple of teaspoons of pumpkin for puppies can help to combat both constipation and diarrhea, whatever your dog may be dealing with – it truly is a digestive ‘neutralizer,’ making sure everything’s running smoothly. Surprisingly, yes! Pumpkin seeds can be a tasty, crunchy treat for your dog. Try roasting them to add extra crunch (without oil, salt, etc.). Pumpkin seeds have been known to help combat against worms in dogs and can be fed as a treat your dog will love to snack on. Can Dogs Eat Raw Pumpkin? 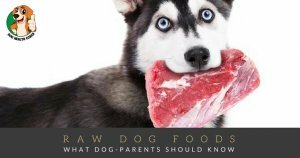 Raw pumpkin likely won’t harm your dog in any way, but it’s a better option to provide them pumpkin that has been cooked. This is simply because it’s impossible to know the ‘history’ of a particular pumpkin, how old it is, etc. By cooking it, you’re removing a lot of possible bacteria and other things that could cause some irritation. Next time the autumn season rolls around, offering your dog some fresh pumpkin will be a real treat for them. But, you don’t have to wait for fall to start including it in their diet! Do you give your dog pumpkin on a regular basis? Let us know if it’s helped them in any way by leaving a comment below, and sharing your story with others.